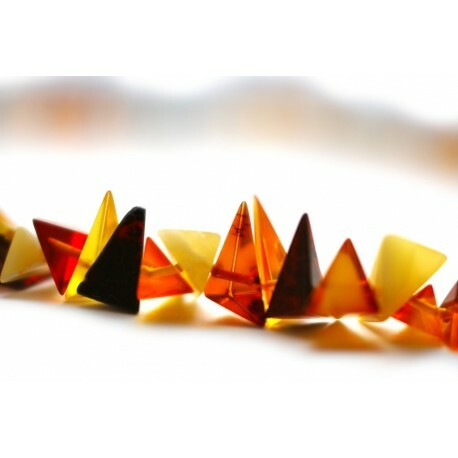 Variegated triangle-shaped amber pieces' beads, especially light. Shades of cherries, cognac, yellow meadows' honey, clear maple sap and white sea foam - what can be more beautiful than this combination? “We bloom only once, so let us bloom with all the colors”(S. Anglickis). Amber pieces of unusual triangle shapes bloomed in a necklace of warm hues. For Romans the triangle was a symbol of the sun, for Balts it was fire, water, man and woman.